Sliding patio doors, although built to last a very long time, from time to time do need replacing. This can be due to a number of reasons such as age and usage, weather exposure which can mean the doors contract and thus do not slide properly and many more issues besides. If you are considering replacing your sliding doors or urgently need to make changes, there are a few things to consider such as the material, size of the glass and the configurations. All these can have an impact on its longevity, energy saving benefits and the overall price. 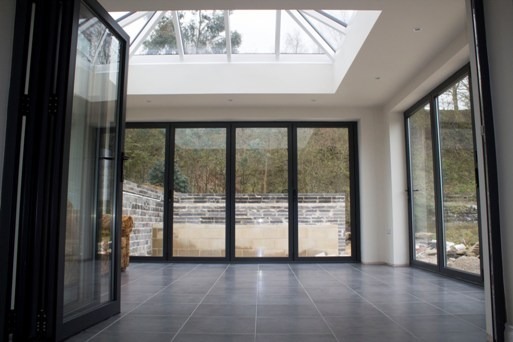 At Clearview, leading specialists in bi-folding and sliding doors in Leeds and Yorkshire we have a wide range of different arrangements to meet your needs, from the standard 2 pane 2 guide runner systems through to the 3 runner and 6 pane slider configurations. Whatever your requirements our experienced team can guide you through a couple of options, including the type of glass used which again can add extra benefit to your choice. 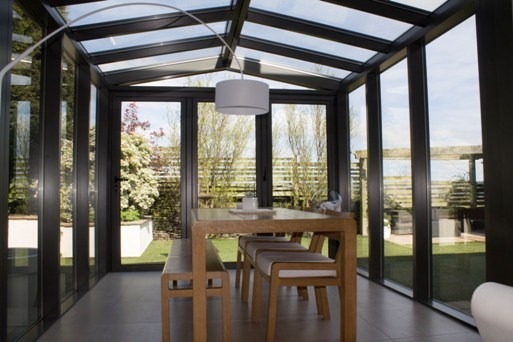 By choosing double glazed high efficiency glass, you can limit the amount of warm air that enters your property during the summer which will help to keep the internal temperature cool. In the winter, the same technology also helps to trap any heat inside via the heating and should mean you can reduce your energy bills as heat does not escape. Clearview use two aluminium systems for our sliding doors, one by AluK and one by Schuco and each offer high levels of quality. Aluminium contracts less in the summer and winter than PVCu and is also more malleable so a tighter and more aligned product can be achieved. This will help the doors slide properly even after daily operational use for a number of years. Depending on personal preferences, the aluminium can also be finished in a wide range of colours, with some extreme options such as Pink available from special stockists in Belgium. Whatever your requirements a colour and finish can be achieved. 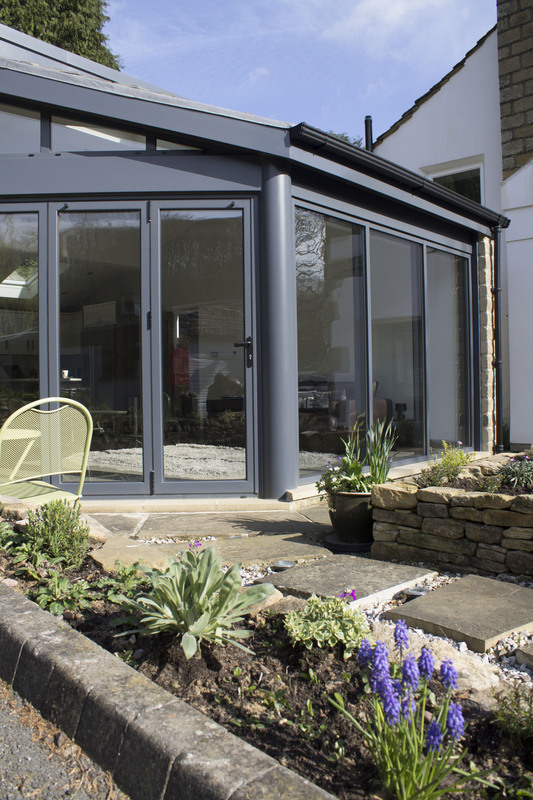 If you are thinking about replacing your sliding doors in Leeds, please do not hesitate to get in touch with our team to discuss your options, To arrange a meeting please call us on 0800 1357167.